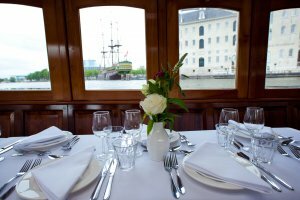 Your floating dinner cruise through Amsterdam will be accompanied by your own private chef who will bring aboard a delicious meal for you and your guests – freshly cooked in his kitchen, and fresh on your plate. 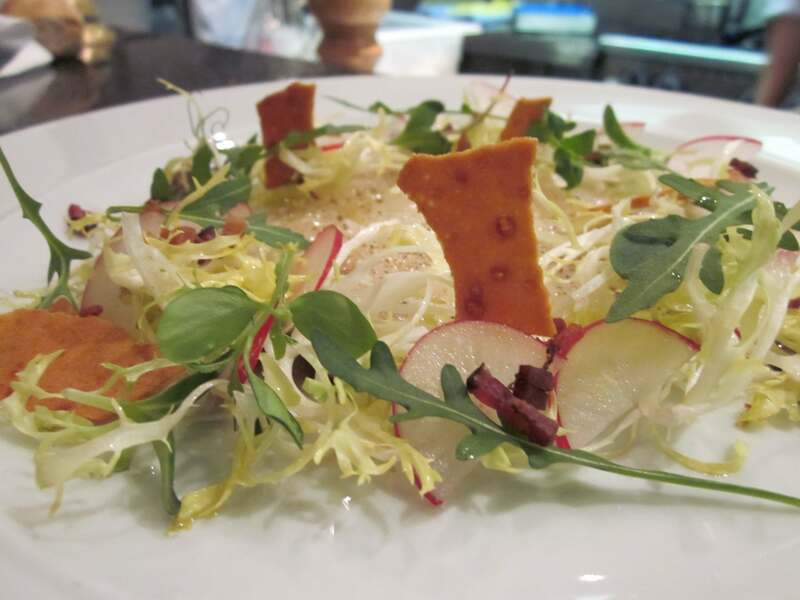 and shortly thereafter served, followed by a delicious dessert – every bite as perfect as possible. 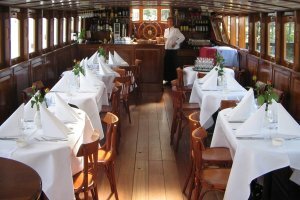 Our main saloon boat, the Dame van Amstel, offers seated dining for up to 56 people when the space is optimized. For your floating dinner you and your guests can also sit at one, long table. This requires a bit more space, however; maximum seating for one table is 42 people. The floating Amsterdam dinner cruise takes approximately three-and-a-half hours, but you can, of course, sail longer. 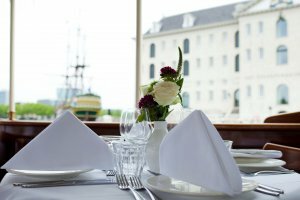 We have a number of sample menus and dinner cruise routes but are also happy to hear about your special wishes for cuisine and locations –together we can create the perfect evening. You come on board and are welcomed by the captain and your host/ess. Soon after, you set sail on the Amsterdam canals. 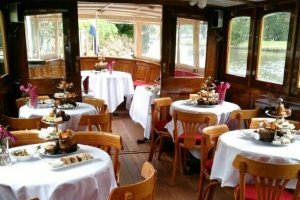 You sail to a beautiful spot in the center of the city, where we dock and the restaurant delivers the main course, prepared piping hot by a 5-star chef, to your private boat. The meal winds down with dessert. You return to the place of departure. 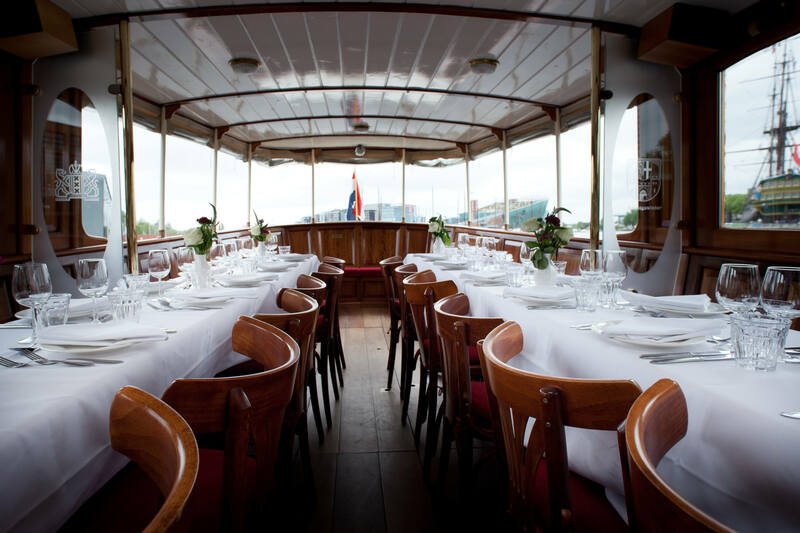 The Floating Amsterdam Dinner Cruise package includes a three-course dinner with formal table settings, full service and three hours with the boat and captain. The exact cost per person depends on your specifications, but the average package is approximately € 110, – per guest. Like to know more or have a specific question? Would you like to be the first informed of our activities?